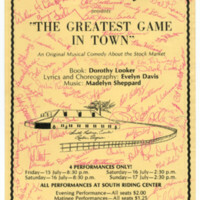 Poster promoting the Reston Players inaugural performance of the "The Greatest Game in Town" July 15-17, 1967 at the South Riding Center in Hunters Woods. Poster is autographed by cast and crewmembers. 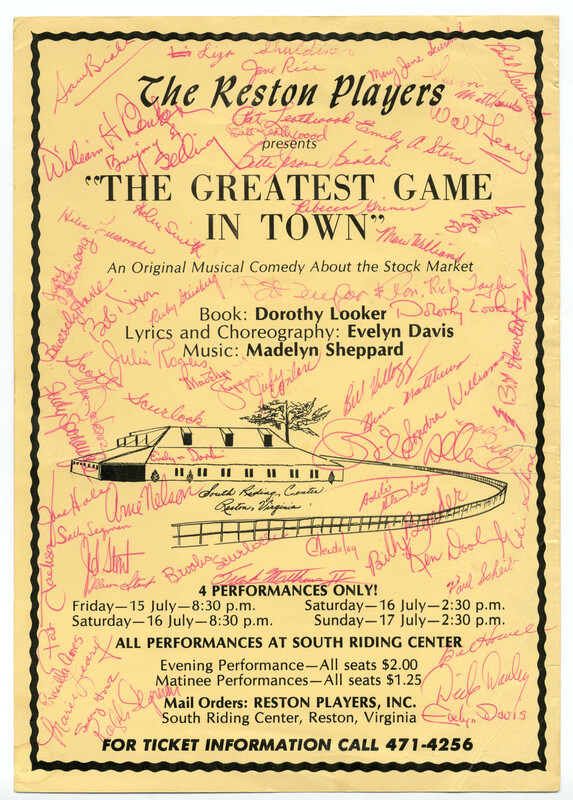 unknown, “The Reston Players presents "The Greatest Game in Town" an original musical comedy about the stock market,” Reston@50, accessed April 18, 2019, http://reston50.gmu.edu/items/show/46.